Today we are going to be concluding the sermon series that we've been working on for the month of May, a series entitled "I Like Giving." This series was inspired by the book I Like Giving which I read a while ago and which I thought would be an excellent conversation partner for a sermon series on what it means to live generously. For more information about the book and the website that served as the inspiration for this series, you can visit www.ilikegiving.com. The central idea behind this series is simply this: We were created in the image of God--a God who is inherently generous. It is out of God's inherent generosity that all the attributes of God flow out toward you and I. God's mercy, love, creativity, redemption all come out of the boundless generosity of God. And, as I said, you and I are created in God's image with God's DNA embedded within us. So it stands to reason that you and I should inherently be generous, too. So why aren't we? I mean, sometimes we are generous. We have generous moments. But how many of us can truly say that we are generous with all aspects of our life--with our time, our talent, our treasure? And this brings us to the conflict that we have been working to resolve throughout this series. Just like the first people, we continue to make the choice to reject the boundless generosity that is within us--God's generosity--to embrace scarcity and selfishness. Each one of these sermons has been a step forward in resolving this conflict as we've gone to Scripture to find not just inspiration, but also motivation, and exhortation. Today we are going to find all three within a passage from the Old Testament--a passage that has become the go-to passage in the Bible for the prosperity gospel movement because it seems to say that if you give to God that God will multiply what you give and give it back to you in spades. For a lot of people, though, this passage isn't exactly good news for that very same reason. Maybe they've tried to get a really good return on investment by giving to their church, and it didn't work out. 8 “Will a mere mortal rob God? Yet you rob me. “But you ask, ‘How are we robbing you?’ “In tithes and offerings. 9 You are under a curse—your whole nation—because you are robbing me. 10 Bring the whole tithe into the storehouse, that there may be food in my house. Test me in this,” says the Lord Almighty, “and see if I will not throw open the floodgates of heaven and pour out so much blessing that there will not be room enough to store it. First things first, we need to acknowledge that this prophetic passage was written with a particular audience in a particular moment in history. The prophet Malachi is setting the stage for what might be considered four hundred years of "silence" from God until the voice of John the Baptist breaks that silence in the Gospel of Mark, declaring the Day of the Lord. And the audience for the prophet Malachi is the people of Israel--the people of God, the chosen ones. At this writing, they have had a checkered past when it came to living into the hope of their relationship with God. They have shattered their end of the bargain when it comes to the covenant that God made with them. What you see here in Malachi 3 is the other side of the covenantal language. God is saying to them, "You want to know why things haven't been good for you? You broke our covenant, and that comes with a curse--it's kind of built in, you see. I wanted good things for you, the very best. But you chose otherwise, and now you've been living with the consequences of our broken relationship. I wanted you to choose generosity and abundant life, and you chose scarcity and selfishness." God mentions tithing here. The word "tithe" is connected to the word "tenth." To tithe means to give ten percent. The word tithing appears 40 times in the Bible, 32 times in the Old Testament and 8 in the New Testament. Out of the moments when it appears in the New Testament only 3 of those moments come from the mouth of Jesus, and only in the Gospel of Luke, which we've been using as a source for our study the past two weeks. In one of those moments in Luke chapter 11 Jesus chides the Pharisees for tithing everything they had as a show of piety--even the herbs from their garden--and then flat out ignoring the poor. So, this raises some questions for us. Does this passage in Malachi still apply to us? I mean if even Jesus didn't talk about tithing, why do so many Christians seem to think it's important, and why do so many churches emphasize it? What does any of this even mean in the great grand scheme of things anyway? Which brings me to some psychologists--Dunn & Norton, to be precise. Dunn & Norton, that sounds like a hipster shoe company doesn't it? Actually Dunn and Norton did some of the most definitive work in history when it comes to understanding the science of generosity. The initial work that Dunn and Norton did centered around what we'll refer to as a happiness index--or a way of fairly and equitably measuring people's happiness. Once they were able to do this, they were then able to see what effect "prosocial" giving had on the happiness index of people who gave money to other people or to a worthy cause. As it turns out, giving to others made people happier (which isn't surprising), but it also had a positive physiological and psychological effect on people as well. In other words it not only made them happier to give to others, it made them healthier. Dunn and Norton performed the same research in Uganda--one of the poorest countries in Africa. Guess what? They got the same results. Apparently, it doesn't matter how poor you are, it makes you feel better and perhaps even live longer to be generous. Dunn and Norton's conclusion at the end of everything was simply this: It's as if "we were created to give." Hmmmm.... I like the sound of that. But I am still trying to figure out why I read Malachi chapter 3 and I don't feel all that good about it. It feels like God is demanding my gifts, and making promises that I know don't always seem to be fulfilled exactly as the text seems to indicate. And if I am being forced to give, forced to be generous--then is it really generosity? There's a brand new TV show that is airing soon, maybe this week. It's called the Briefcase, and the premise of the show is kind of unique. A family in need is presented with a briefcase full of money--$101,000 in fact. They are given the option of keeping the money or they can give it all away, or a portion of it away to another family in need. The catch is that the other family is typically a family that is so completely different from them that it calls into question their notions about life, the universe and everything. For example, one couple who needs money is from Texas--a gun-toting, Republican, conservative, solidly evangelical Christian couple from Texas. Their counterparts are a lesbian couple who are trying to raise the money to pay for in-vitro fertilization so they can have a child. But what neither couple knows is that both sets of families has been given the same amount of money with the same parameters. What would you do if you were in that situation? Where you were presented with a family who was in need, and who you could help, but they were so completely different from you that it defied your imagination, and maybe even messed with your convictions and beliefs. The challenge that is inherent in this TV show is a decidedly spiritual challenge, even if they don't really see it that way. The challenge is to learn to see "the other" (the person you believe you would never identify with) as a human being, not a stereotype. And to ultimately realize that when you decide to give generously, it changes everything. So what did Jesus say about tithing? In Luke 11:42 he declares this: 42 “Woe to you Pharisees, because you give God a tenth of your mint, rue and all other kinds of garden herbs, but you neglect justice and the love of God. You should have practiced the latter without leaving the former undone. Jesus busts on these guys not for tithing--although he does uncover just how crazy these guys were about their tithing rules. He busts on them for being so meticulous about tithing their ten percent, but neglecting justice and love with the remaining ninety percent. Which makes me wonder if the question that Jesus was really asking was this: "Is only 10% of your stuff God's, and the rest yours? Is that what you're saying to me? Because if that's what you're saying, then I would have to say that you aren't really that generous." You see, Jesus taught by his words and his deeds, by his life, by his death by his resurrection---that when you are generous it changes everything. Literally. Everything. Because that's what Jesus did through his own generosity. He changed everything for you, for me, for all of Creation. I Like Listening. 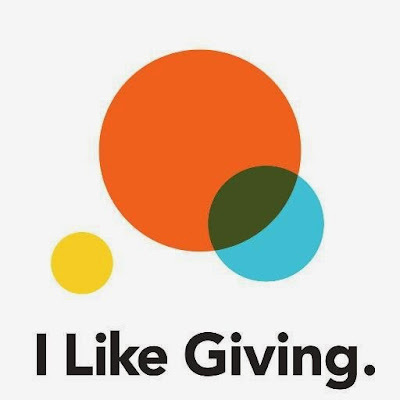 from ILikeGiving.com on Vimeo. And you can miss the whole point. Because the question at the heart of Jesus indictment of the Pharisees comes back to haunt us if we let it: "Is only ten percent of your stuff God's, and the rest yours?" Here's something I imagine you will never hear from another pastor as long as you live, although I wish you would: If tithing is keeping you from seeing all of what you have been blessed with as God's---stop it. You heard me. If you are giving your ten percent, and that's it. If you think that Malachi 3:8-10 is all about keeping rules, and that there is going to be a return on your investment. Then stop tithing. Surprised to hear a pastor say that? I'm actually surprised I said it. Here's the thing. What Malachi 3:8-10 is about really is trust--as in do I trust God with my stuff, with my money, with my possessions, with all that I have? When you trust God completely, when you realize that ALL you have is from God then you won't settle for a measly ten percent--ever again. You will be willing to give whatever is needed, whatever is necessary, whatever you are called to give in order to change the world. And you will never see the world the same again. Ever. Suddenly, the world will become for you a place full of possibilities--possibilities for you to be generous, to sow seeds of love so that one day you'll see a harvest of such abundance, you'll never know how to measure it. Because when you begin to give generously, it changes everything. You. Us. The World. Everything. I Like Giving - Week Three: "I Like Soccer Balls"